Make sure you scroll down to December 1st Doorbusters! Hurry, some items are while supplies last! This is my last "fall" card. It's for a very special person, my upline, Mary Fish from Stampin' Pretty. Mary is a very encouraging person. She's generous and friendly to all people who come into her life. She is a person I admire and look up to, have fun with and love to be around. Her birthday was Saturday, so I sent this card which I made especially for her. I love how the Artisan Label and Label Bracket punches go together, so I stamped my sentiment from Label Love onto one and framed it with the other. My leaf was cut from a burlap scrap using the Autumn Accents Bigz Die. There is a Very Vintage Button tied with Linen Thread on top of the leaf. Both elements are mounted on a horizontal piece of 1-1/4" Burlap Ribbon. The designer paper underneath the elements is from Color Me Autumn. I hope you liked looking today. Please feel free to leave a comment below. I love to read each one! For all of your Stampin' Up! 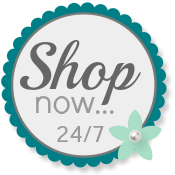 supplies, you can use my Online Store.